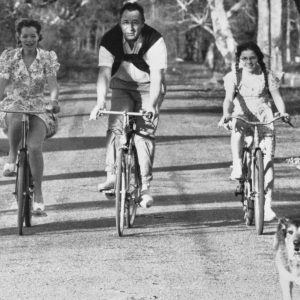 Romy Schneider, Philippe Noiret and Catherine Delaporte ride bikes. 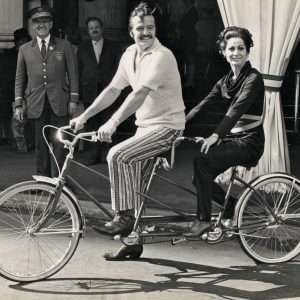 Robert Goulet and Carol Lawrence ride a bike. 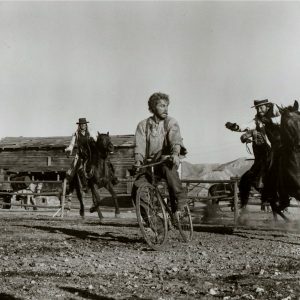 Franco Nero rides a bike, two hombres ride horses.